Optimal pH levels are critical to healthy plants and high yields in both soil and hydroponics gardening. Optimal pH levels are critical to healthy plants and high yields in both soil and hydroponics gardening. 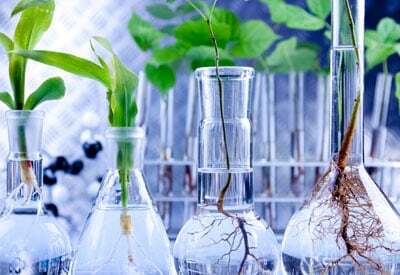 Maintaining those optimal levels, especially in soil-less growing systems, calls for frequent, accurate pH testing. Ideal pH levels maximize a plant’s nutrient uptake. 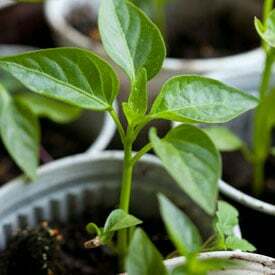 Those nutrients, in turn, increase a plant’s vigor and productivity. When pH levels are out of a plant’s comfort range, its ability to utilize nutrients is reduced or blocked altogether. Out-of-whack pH levels can result in other, critical problems. Nutrient solutions with low, acidic readings cause salts to bind to nutrients in growing mediums, locking them away from plants. High pH solutions and alkaline soils encourage a buildup of these toxic salts. Use to accurately measure your nutrient solution's acid/ alkaline balance. “This is one reliable meter!” The Bluelab pH Pen will quickly and accurately measure your hydroponic solution’s acid/ alkaline balance. Use to maximize plant nutrition and ensure optimum plant health, growth and yields. Hydroponic grows are especially responsive to proper pH conditions. But no matter the growing medium, great results come when pH is dialed in to the needs of each plant. How do you know when you’re in the pH perfect zone? Here’s how to insure your pH testing is as dependably accurate as it can be. pH testing is crucial to agriculture, health care, metal plating, food preparation (including brewing) and a host of other commercial pursuits. Specialized meters, like those made of food-safe materials, meet specific needs. 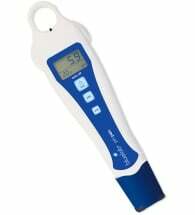 Buying from a reputable gardening supplier who carries pH testing equipment for indoor and outdoor growers guarantees you’ll get a meter best suited for gardening. Meters used in hydroponic growing take advantage of digital technology and provide dependable read-outs down to a tenth or even hundredth of a degree in a ten degree scale. Surprisingly, most are relatively affordable. The same digital display technology can be found on easy-to-use, instant-read meters perfectly suitable for the hobby hydroponic grower as well as serious growers needing to make quick, spot checks. 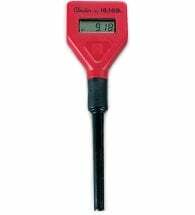 Multi-read meters, as their name implies, measure more than just pH. 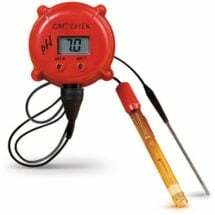 Multi-read meters gauge electrical conductivity (a measure of salts and other compounds) and total dissolved solids letting you know that you’re providing an optimal level of nutrients to your plants. 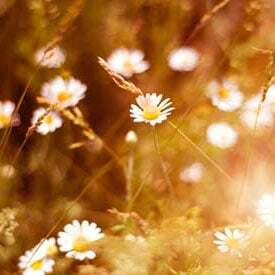 It makes sense that if you’re providing the ideal pH level for the nutrient up take of your plants, you’ll want to make sure of the level of nutrients in your solution available to plants. The more serious you are about indoor growing, the more serious your pH monitoring practices should be. Choosing the right meter makes that practice easy, if not time consuming. What choices do you have when it comes to pH meters? Some stress ease or frequency of use. Continuous-monitor meters make constant monitoring of grow conditions automatic. Some meters are multi-functional, testing for conductivity (see above) as well as pH. Which kind of testing tool you use is determined by what you grow, how you grow it, and how demanding you are. The electrode is the pH meter’s sensor. It’s the working end that comes in contact with the growing solution. Usually made of glass, it contains the circuitry that measures ions and their potential to conduct electricity. Make sure the type of electrode tip you choose is the most appropriate for your growing conditions. In addition to gardening and agricultural applications, meters are also widely used in healthcare and food testing. Different types of electrodes have been developed for specific uses. Taking readings from surfaces such as found on fresh and prepared foods (pH readings can be a measure of spoilage) require flat tips or knife-tips that will penetrate into what’s being measured. Offers highly accurate results with an easy to read LCD and automatic shut-off. Fast, efficient, accurate and portable! The HANNA® Combo Meter offers highly accurate pH, EC/ TDS and temperature measurements in one simple probe — NO more switching between testing equipment! Includes batteries, an electrode replacement tool and instructions. The bulb-shaped sphere tips, used for most liquid applications, are the standard tool of hydroponic growers. Conical tips are used for measurements taken just beneath the soil or growing medium line but can also be used in liquids. If you have questions about electrode tips, consult your dealer before you buy. Most vegetables grown outdoors in soil do well in a range of soil pH levels, generally from slightly acidic (6) to neutral (7). Hydroponics allows growers to pinpoint pH readings to create optimum conditions and maintain them. 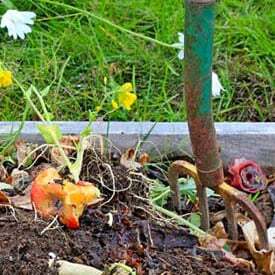 This not only leads to healthier, more productive plants but also avoids wasting the valuable nutrient solutions you feed them. When grown hydroponically, most plants require slightly less pH levels than recommended for soil growing. Tomatoes do well in the ground outdoors with a high pH of 7. Hydroponic tomatoes are at their best in more acidic conditions, ideally with a pH of 6.0 to 6.5. Cabbage will do okay in alkaline soil with a pH as high as 7.5. Grown hydroponically, they’re at their best grown in neutral (7.0) to slightly acidic (6.5) solution. 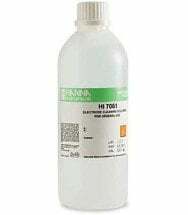 Research ideal pH levels for your hydroponic grow carefully. 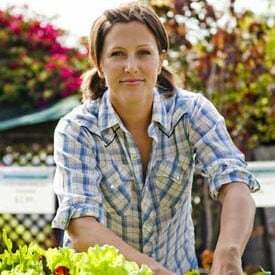 Some hydroponic sources list pH levels lifted from soil gardening sites as if the numbers apply to soil-less growing as well. If only it were that simple. 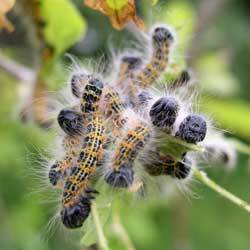 You can find pH recommendations for a long list of trees, vegetables and landscape plants here (scroll to bottom). Ongoing calibration of pH meters is part of a regular testing program. It assures that your meter is giving consistently accurate measurement. How often you calibrate is a personal choice. If you’re uncomfortable not calibrating and testing every day, then calibrate every day. Using reliable calibration solutions makes what seems a tricky process pretty easy. Start with a 7.0 neutral calibration solution for “zero-in” dialing, then use 4.0 calibration solution if testing for pH levels below neutral, a 10.0 solution if you expect reading above neutral). Calibrate with confidence! 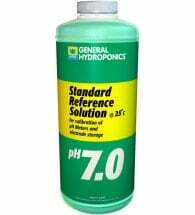 General Hydroponics® pH 7.0 Standard Reference Solution is easy to use! Just dip your electrode into a small amount of the buffer and adjust the meter to read 7.0. May be used with most popular brands. 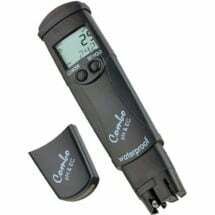 All pH meters have differences and the instructions included with the meter should be followed for specific details on calibration. 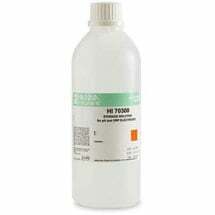 It’s important to calibrate a new pH meter as well as meters that have not been recently used. Start by soaking the bulb overnight in storage solution. Give it a good rinse with tap or distilled water before placing it in a pH 7 buffer. Adjust the meter when the reading has stabilized. The good folks at HANNA Instruments have detailed calibration background that’s worth checking out on their site here. Rinse a new bulb with distilled or deionized water before conditioning. Before calibration, soak the electrode for at least 15 minutes in buffer solution. Never condition an electrode in distilled or other water. Water will erode the electrode’s glass membrane. Recondition electrodes that have been allowed to dry by soaking in a pH 7.0 buffer or storage solution for a minimum of 30 minutes. Gently shake down electrode after storage, especially if it’s traveled. This shaking dissolves tiny air bubbles that may have formed in the glass bulb and can cause reading inconsistencies. Make sure the probe is submerged to proper depth. Both the tip and the reference junction above the sensing glass’ “waist” need to be totally submerged for proper readings. Consult your manual for the exact position of the reference junction. Swirl the electrode gently in the solution during testing. To avoid cross contamination, rinse the electrode with distilled water after each testing. Despite the advice of some grow manuals, never wipe your electrode. Wiping can alter the static charge the sensor needs to properly conduct its readings. Rinse in distilled water between uses. To dry electrode after rinsing, blot (again, don’t wipe) the bulb with lint-free paper. Never touch the glass bulb with your bare fingers. Fat, oils and lipids left behind can affect readings and damage the glass tip. They’re also difficult to clean off. The best available! HANNA® Electrode Storage Solution is made with reagent grade chemicals to ensure fast response times, optimal performance and zero clogging. Sold in 500mL bottles with a tamper-proof seal to protect quality and freshness. CMS meters often have three probes, each with a different nutrient measurement (pH, EC & TDS). Keep each probe separated from the others (not touching) during use. Make sure to clean your electrodes once a month with the proper cleaning solution. The warranty on your instant-read meter may be stated in terms of years but its sensitive electrode should be switched out every six months if it’s in frequent or continuous use, up to a year with every-week-or-two testing. Have necessary products for adjusting pH levels, either up or down on your shelf and at the ready if pH readings aren’t in the range that you want. 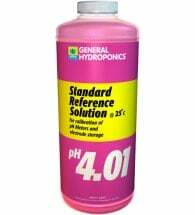 You don’t want to discover your grow needs pH adjustment and not be able to do it immediately. Whatever adjustment product you use, follow the manufacturer’s recommendations to the letter. Now get growing!